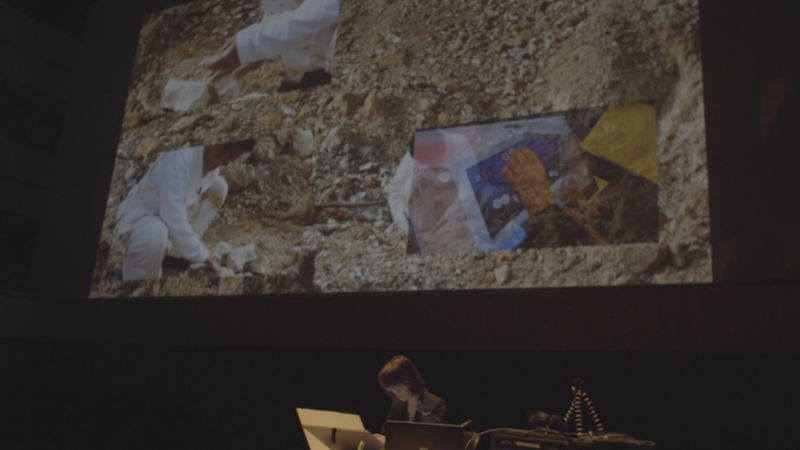 Five Elements of Living Treasure is an interactive multimedia performance. 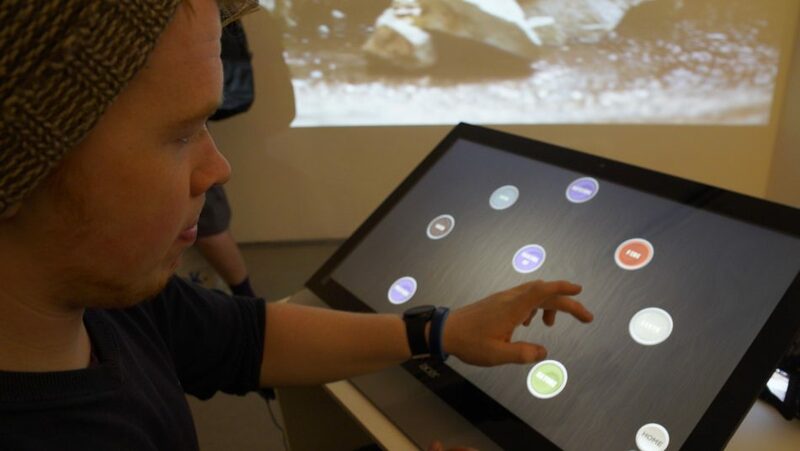 The project ventures into ambitious studies with an overarching musical inquiry for constructing a relationship between objects and time. 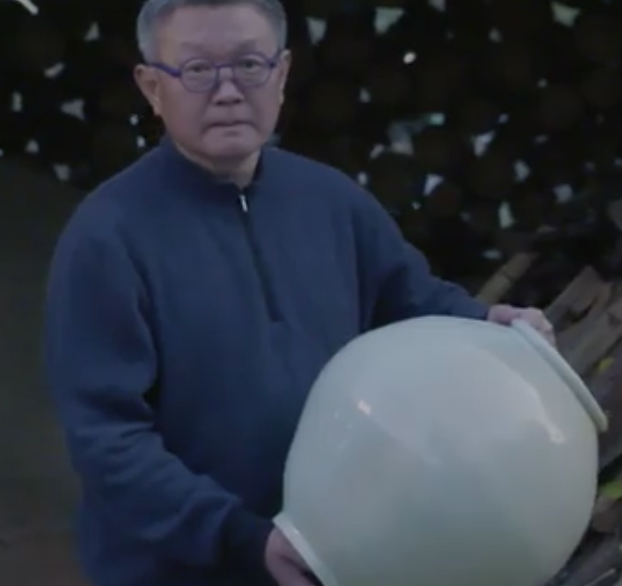 Inspired by the work of the ceramic artist, Shin, this project journey began by wondering how to render the silent ambiance his work propounds, the ephemeral and sensorial experience of, and the making of, the object, with sounds and compositional scheme. With respect to the enduring synthesis of five elements to give birth to such generous objects, the synthesis of sounds and images thematically tends to materiality and dynamics of the five elements, fire, water, earth, wood, and iron, as ordered by the artist Shin. 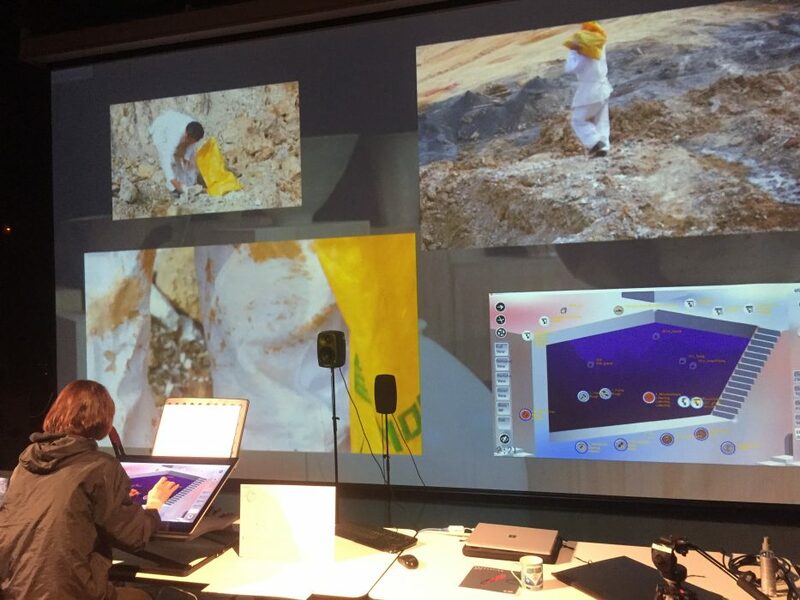 The compositional scheme utilizes documentary, artificial intelligence, sonification, and HCI techniques. 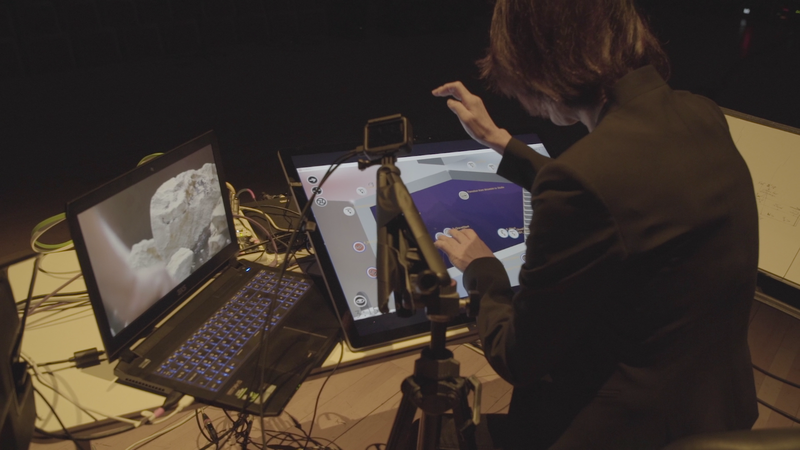 Context-based processing enables real- time interactive performance, streaming media from cloud storage to display in an experimental web browser. 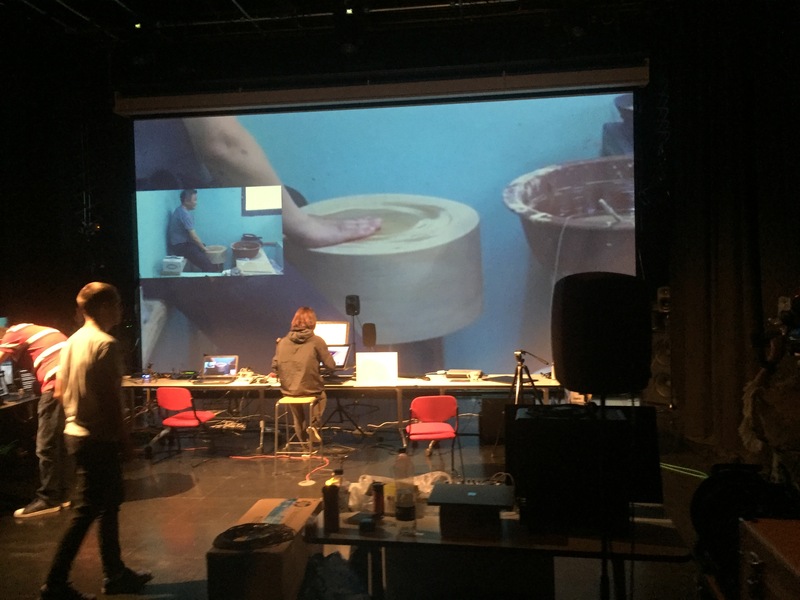 The logic of documentary follows the process of ceramic work and the media resources are curated from both casual and professionally produced source materials. AI is utilized to analyze and extract data from images then applied to generate sounds and more image resources. Sonification is a technique for constructing sounds to render data mostly for scientific investigation. 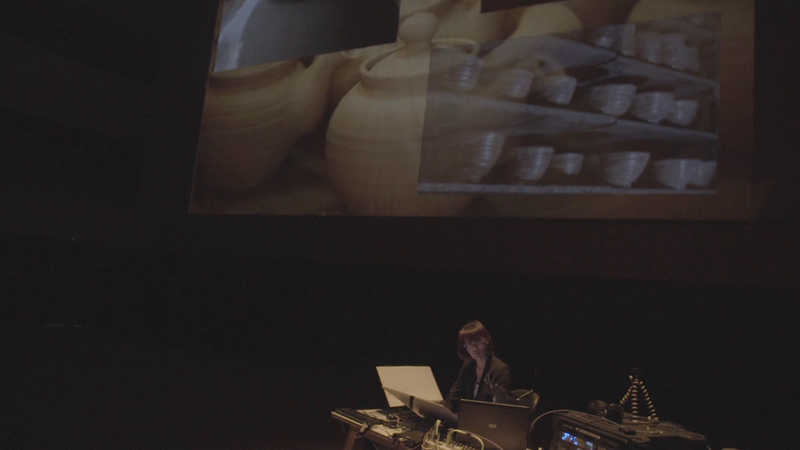 The form of composition was derived from a video, inspiring moments unplanned but captured by mobile phone when Shin, unexpected, came to sit at his potter’s wheel in his studio. It is a deliberate design decision to fully utilize the raw source of documentary materials to invoke the live moments. As studied, the source video reveals two new propositions. Function Follows Form and Form Follows Process. 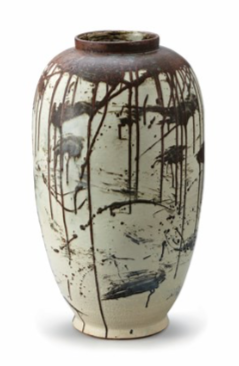 The unification of two Sahbals (bowls) yields a full moon shaped Dal Hang-a-li (moon vase). Respecting the documentary authenticity that captures the artist forming two sahbals, the composition is structured as a two- part musical form: A A’. Then each part is detailed by proportionally measured sections with durations extracted from the video by analyzing the process of six phases in bowl formation: throwing, extruding, concaving, shape detailing, edge detailing and cutting. 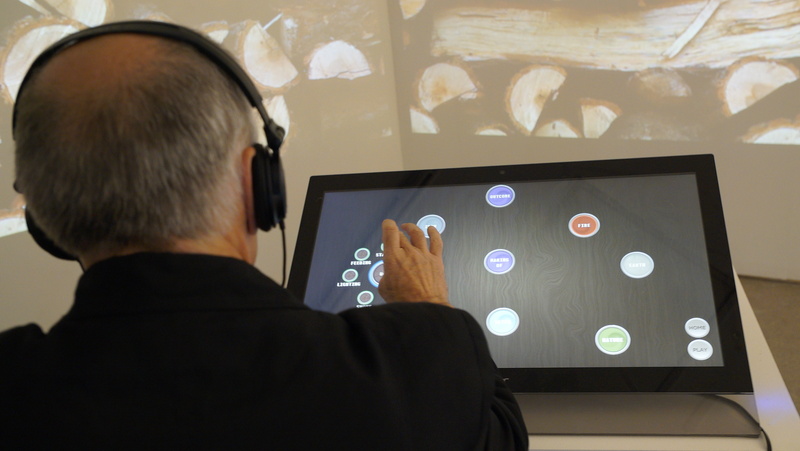 Making of sounds employs electronic and sampled sounds, and documentary sound sources. From Ceremonial to Folk, traditional Korean music is sourced along with instrumental sounds from western Antiquity. 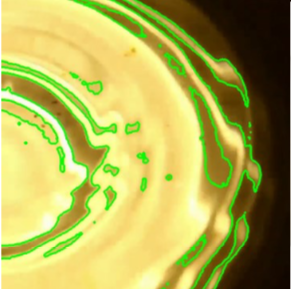 Instrumental and performance gestures are captured, detailed, resynthesized and remixed with fine grains to achieve relevant hues for focused investigations. The logic of the sound hue and mix organization demands as well as consults the data from AI analysis, machine learning, and pattern recognition over images. The meaning of composition here is to provide a good architectural condition so that the performer may generate and govern the final flow in concert, through mastery of free play through semantic navigation, with rhythm and pace that adopt the ceramic work and Shin’s labor as inspiration for shaping sounds and tempo. Insook Choi is professor of interdisciplinary Arts and Technology in the School of Arts and Media, University of Salford, where she holds a chair in Creative Media and Technology at MediaCityUK. 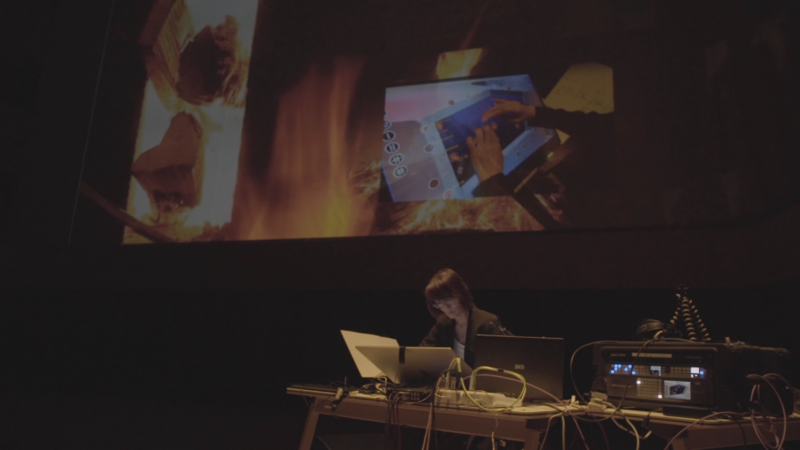 She specializes in HCI, architecture and design of interactive media systems, playful UX, and experimental and playable interfaces for musical interaction. She holds a doctoral degree (DMA) from University of Illinois at Urbana-Champaign (UIUC), where she continued her research at the National Center for Supercomputing Applications and Beckman Institute for Advanced Sciences and Technology, as a creative practitioner and research scientist for VR and Multimodal Systems Interaction. As a composer Insook belongs to the generation who mastered analogue synthesis techniques then brought these to computer music at the dawn of digital interactive performance. Her works created at NCSA were among the first live performances with real-time software sound synthesis, using a system she designed and developed with a team of software engineers. 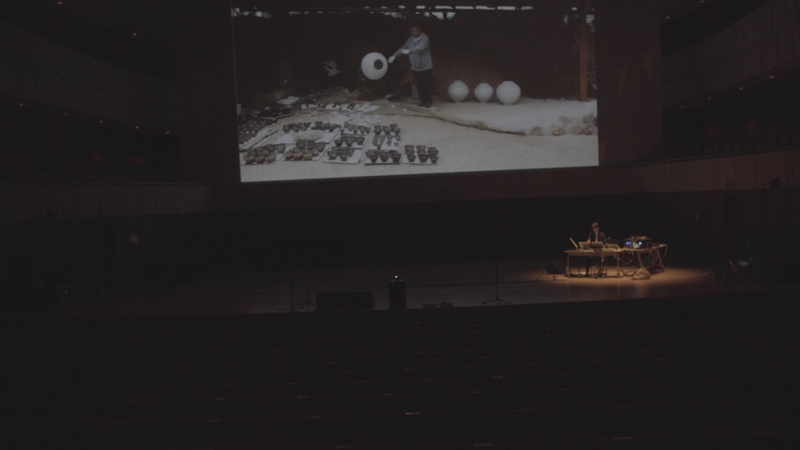 Insook is a pioneer in new genre that can be described as HCI performing arts. Her first piece in this line, Anti Odysseus: irreversibility of time (premiered in Expo93 Daejeon) integrates a chaotic electronic circuit in a real-time performance system. Unfolding Time in Manifold (Ars Electronica 1995, Linz, Austria) pioneered as a playable VR installation. 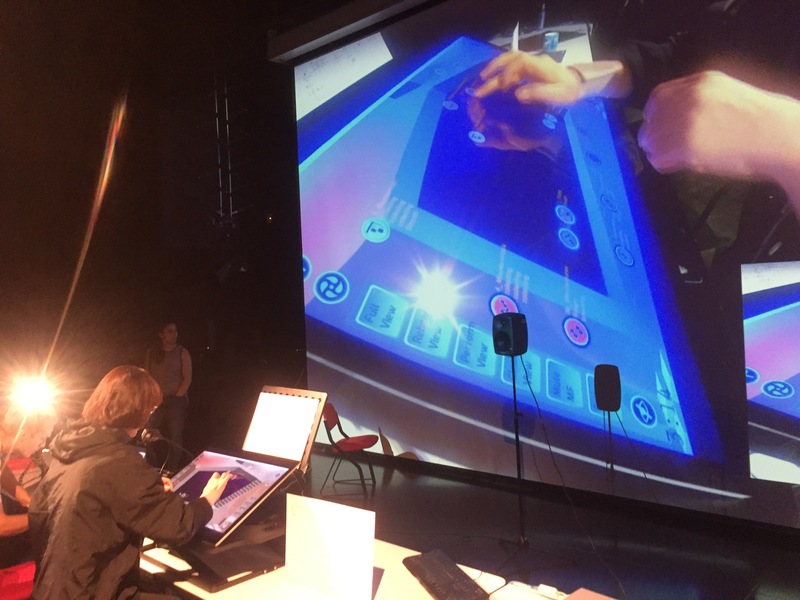 Machine Child (Krannert Centre Playhouse, Cyberfest ’97) is perhaps the first VR application brought into a concert venue with a large-scale VR projection for interactive performance with AI. The piece was homage to HAL, the fictional AI character in 2001 Space Odyssey by Arthur C. Clark and Stanley Kubrick. Machine Child was featured in a Gala event hosted by the film critic, Roger Ebert. The author Piers Bizony described the piece as “dignified” and “stepping out of future”. 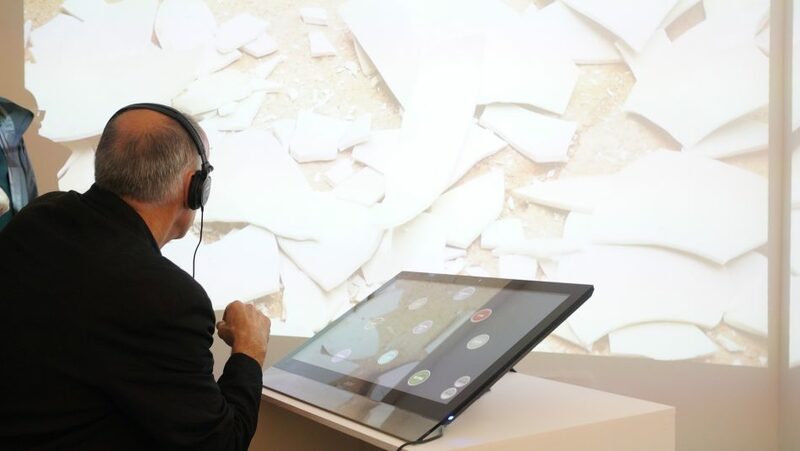 Voices in Ruins (Solo exhibition, Dorsky Gallery, SoHo, New York City, 2000) is sound installation with early IoT technology for activating interactive ambient media space. The piece exploits residual, signal and noise ratios of sounds and conceptualizes ‘archaeology of information’ from historical recordings. 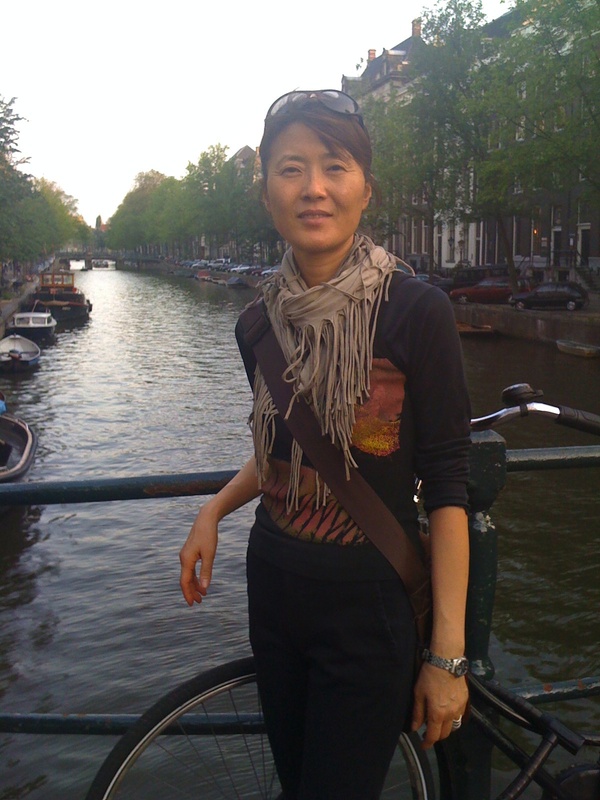 Insook’s recent work engages semantic computing, AI, Artificial Life simulation, and multimedia information systems, and applies cognitive models of users’ temporal engagement, to generate interactive narratives and urban scenarios. Mutandrum (Voorhees Theatre, New York, 2007) is her first work with ALife. 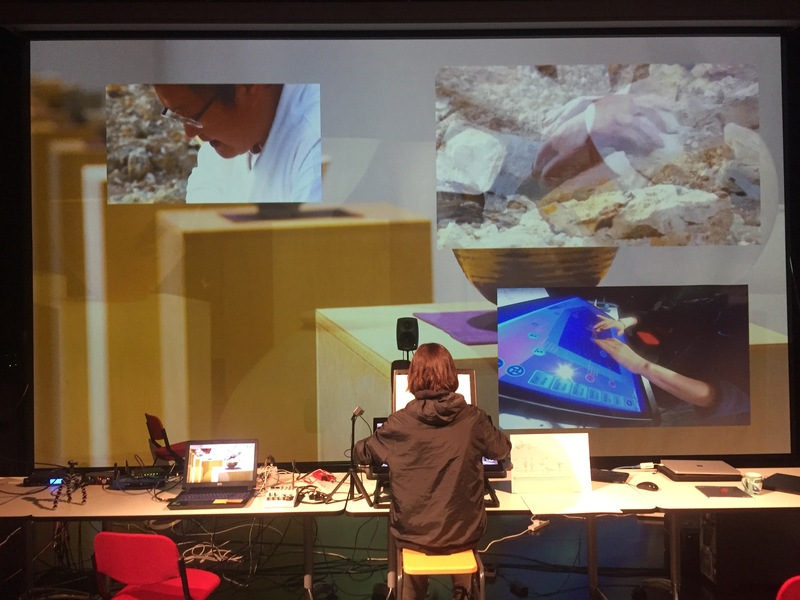 Five Elements of Living Treasure is her first concert work applying her research in semantic computing for interactive multimedia information systems. 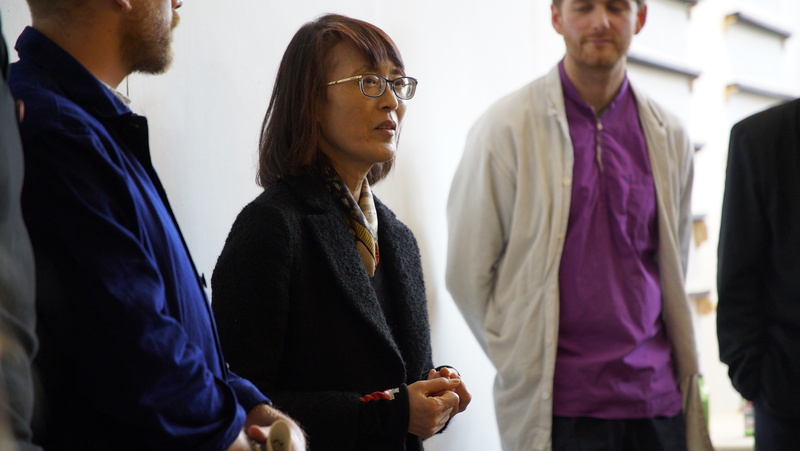 Along with her continuing conversations with Sever Tipei, Insook treasures the teachings she received from Herbert Brun, Salvatore Martirano, and Jae-Yul Park, which are lasting long after their departures. Two sahbals come together to form a full moon. This act of joining and its final shape yields a symbolic significance to the familiar object, the sahbal. How it dreams, with such generosity. One thousand years of knowledge breathes through his hands. The work of art coming through his hands teaches everyday life and laws of form. Moons come to shards or shapes whenever he labors and examines. They are not just spectacular or glorious objects made for art galleries because Shin always returns to his rustic studio. But he sleeps by the kiln overnight and his eyes continue to work to monitor the supernatural dynamics of fire. It is painful but there is no other way. To the artist’s bare hands, earth offers various soil texture to variety of clay mix that materialize into look, feel, and function of objects. Wood is prepared and dried for seven years. Iron is collected from streams. It is used for coloring or drawing. ion, his breathing is in phase with rotational motion and his sweating yields drops into the clay. Shin insists on the most traditional methods and purely human powered wheel. The newness and innovation is elsewhere in his work. It seems his sweat, the materialized essence of labor, is a necessary ingredient for the subtle yet dynamic quality of his work. Art of reconciling two ends is how Shin’s work speaks today. New art is reconciled with traditional methods. Man-made process is reconciled with seasonal rhythms and time it takes as nature allows. Reconciling two sahbals brings a full moon. 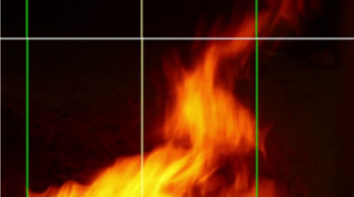 Reconciling water and fire is an ultimate test for his objects. At the centre of reconciling human effort and supernatural test of fire, there is a tension that demands intense labour, patience and dedication with no short cut. For contemporary artists, perhaps lessons can be learned from this process of reconciliation that Shin exercises. While many contemporary artists describe ‘process as art’, Shin’s process is the industrious art of its own, reconciled into his opus that honors the essence of honest labor as the genuine constitution of his art. This lesson is complex to comprehend but radical and new. At the end of the day, miracle aspires to silence when you realize one can touch dreams taught by one thousand years of knowledge. Insook Choi’s installation, “Living Treasure Rhythm Texture” at the opening of Castlefield Gallery’s SUBI 수비 exhibition, September 2018. This work is an extension of the performance work, “Five Elements of Living Treasure”.